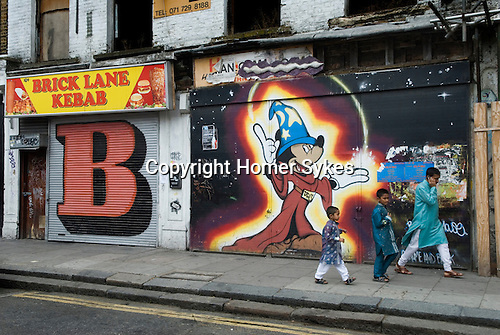 Brick Lane, east London. Muslim father and two sons return from Friday Prayers at local Mosque walking past stencil street art by Ben Eine and DDS. 2010.